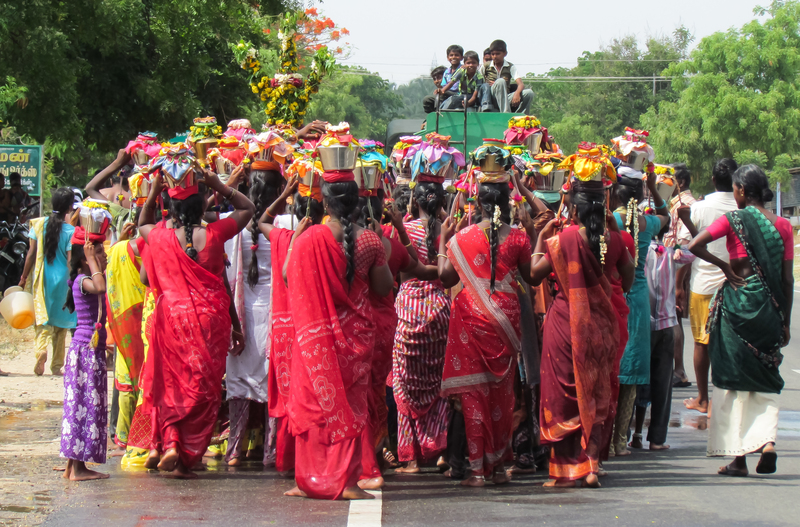 In the village of Poolavadi in the Indian state of Tamil Nadu, women carry colorful offerings on their heads to a Hindu temple in celebration of the Tamil New Year. Young boys watch the procession from the top of a trailer that dispenses water to keep cool the hot asphalt. To submit an original snapshot, please send a picture, caption, and brief bio to submissions@ethnotraveler.com.